The details of your baby's birth are often nothing more than a blur during those initial hazy days, (Weeks? Months?) after having a newborn. Personalized Birth Story blankets from Merle & Velma ensure that every time you cover your little bundle in sweet slumber, or lay out the blanket for tummy time, all of the precious details of the day she was born unfold beautifully! What a perfect, thoughtful and unique gift for new parents! Merle & Velma‘s tagline is “putting a modern twist on the classic keepsake,” and we love that their 100% organic cotton blankets are instant heirlooms that will be cherished for many generations as a piece of sacred history. 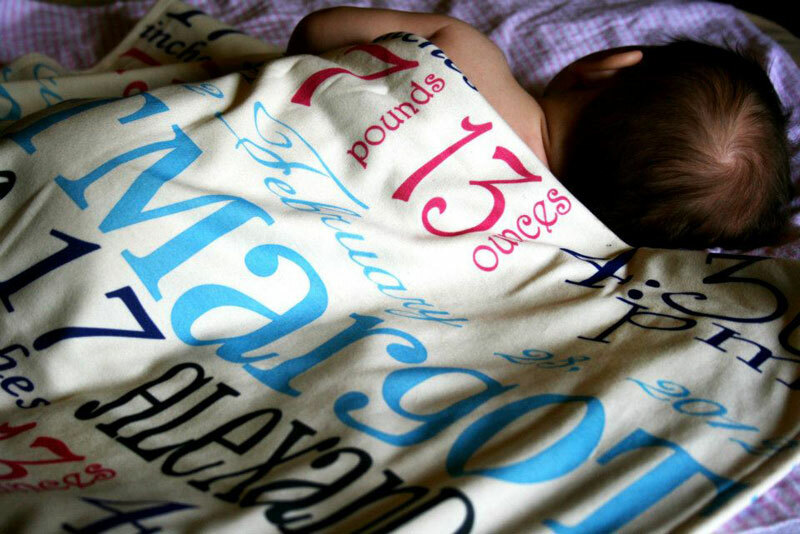 Available in a selection of four different color schemes and font styles from bright and cheery to more subtle and subdued, each blanket is made to order based on your beloved baby’s birth story details: name, time of birth, weight at birth, height at birth, date of birth. The super soft blankets are printed with nontoxic water-based dyes in the USA. Here’s to fondly remembering all of the stats from your little one’s first day of life in one bleary-eyed glance! Merle & Velma's tagline is "putting a modern twist on the classic keepsake," and we love that their 100% organic cotton blankets are instant heirlooms that will be cherished for many generations as a piece of sacred history. 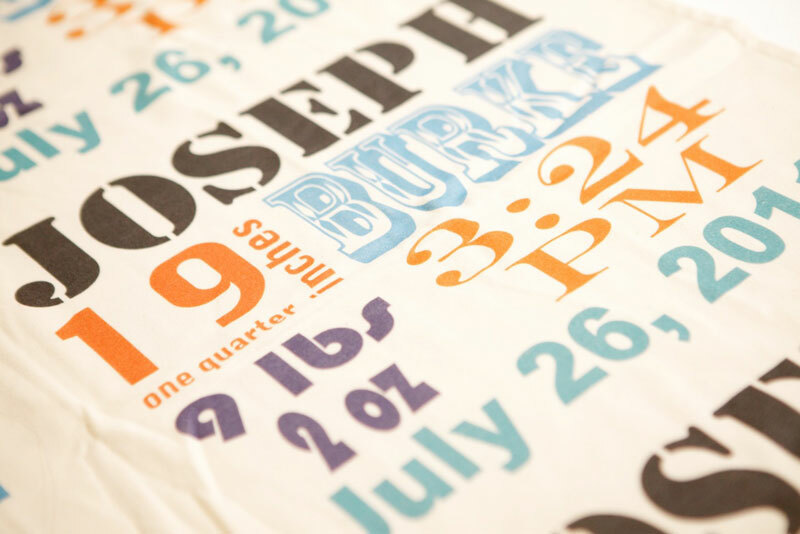 Available in a selection of four different color schemes and font styles from bright and cheery to more subtle and subdued, each blanket is made to order based on your beloved baby's birth story details: name, time of birth, weight at birth, height at birth, date of birth. Merle & Velma's tagline is "putting a modern twist on the classic keepsake," and we love that their 100% organic cotton blankets are instant heirlooms that will be cherished for many generations as a piece of sacred history. Available in a selection of four different color schemes and font styles from bright and cheery to more subtle and subdued, each blanket is made to order based on your beloved baby's birth story details: name, time of birth, weight at birth, height at birth, date of birth. The super soft blankets are printed with nontoxic water-based dyes in the USA. Here's to fondly remembering all of the stats from your little one's first day of life in one bleary-eyed glance! The super soft blankets are printed with nontoxic water-based dyes in the USA. Here's to fondly remembering all of the stats from your little one's first day of life in one bleary-eyed glance!